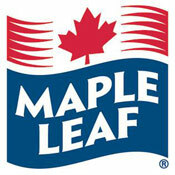 Maple Leaf Foods Inc. is Canada’s leading consumer-packaged protein company, headquartered in Toronto, Ontario. We make high-quality, great tasting, nutritious and innovative food products under leading brands including Maple Leaf®, Maple Leaf Prime®, Maple Leaf Natural Selections®, Schneiders®, Schneiders Country Naturals® and Mina™. Our Company employs approximately 11,500 people in its operations across Canada and exports to more than 20 global markets including the U.S. and Asia. Our people are passionate about the work they do and the products we make. As we move forward, we are determined to leverage their integrity and passion to continue to build a high-performing, values-based company enabled by high-performing, motivated and talented people. We are recruiting individuals to join our agribusiness team of Maple Leaf Foods Inc. We are one of Canada’s industry-leading agribusinesses (hog production) providing long-term value, quality, research-based products, services and information in an environmentally responsible manner. As a member of Maple Leaf Foods Inc., we offer excellent opportunities for career-minded individuals. The Animal Care Technician works directly with the Manager, Hog Barn, and is responsible for carrying out the day-to-day activities in the barn. This position requires the person to be part of a team working towards specific production goals. The successful applicant will be responsible for assisting with all areas of production including the feeding and general care of pigs, maintaining herd health and environment for pigs, pressure washing and preparing rooms, as well as general maintenance and cleaning. OR click on the BLUE “Apply for this Job”button to email your resume. Please state Maple Leaf Agri-Farms and the job title as the subject of your email application. We thank all applicants for their interest in exploring employment opportunities with Maple Leaf Foods; however, only those selected for an interview will be contacted. Applicants may be subject to a background check and must meet the security criteria designated for the position. We offer a diverse workforce inclusive to all.